When Jasung Kim, M.D., (below) a South Korean psychiatrist, contacted me about translating my book, The Afterlife Revealed, into Korean for possible distribution in his country, I welcomed his request and took advantage of the contact to discuss his views on the subject of life after death, as well as those of his countrymen. 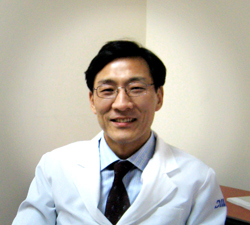 Dr. Kim is both a Korean and U.S. board certified psychiatrist, practicing at Dong-Hae Dong-In Hospital in Kang-Won, South Korea. After doing his internship and psychiatric residency at Seoul National University Hospital from 1985 to 1989, he spent three years as a psychiatrist in the South Korean Army, followed by various positions in both Korea and the United States. His U.S. experience included a fellowship at Yale University, training in psychoanalysis at Columbia Psychoanalytic Institute, four years at New York Presbyterian Hospital, and a year as assistant clinical professor at the University of North Dakota. Dr. Kim, how did you become interested in the subject of life after death? If you don’t mind sharing, what are your personal beliefs and how did you arrive at them? What is the predominant belief in Korea relative to the survival of consciousness after death? I understand that you have given talks on the subject of life after death to your fellow psychiatrists in Korea. What is the basic message that you are trying to get across to them? It would be very risky for a psychiatrist in the United States to openly discuss the subject of an afterlife with his peers. His reputation might suffer. Is that not a problem in Korea? Do you feel that many mental problems can be related to a belief or non-belief in life after death? Is the subject of life after death something that a psychiatrist in Korea can discuss with his patients? Are there many published books on such things as mediumship, near-death experiences, past-life memories, apparitions, and related phenomena in your country? Thank you for your interest in my book. One last question: More and more mental health workers are coming to believe that some, if not many, psychological problems are the result of possession of the individual by earthbound spirits. Do you have any thoughts on this subject? I was asked not long ago to write an essay on the subject of ectoplasm for an anthology covering psychic and spiritual matters. After I submitted the essay, the editor requested that I revise it by making it “more balanced,” pointing out that many people from the scientific community would be among the readers. He wanted more of the skeptical side presented as my paper clearly made a strong case for the genuineness of ectoplasm. The editor’s request brought to mind my interview with Dr. Gary Schwartz eight or nine years ago. Schwartz, who had done some significant research with clairvoyant type mediums at his University of Arizona laboratory, stressed that there are two sides to each story – the medium’s and the skeptic’s. However, when the researcher, such as himself, found evidence favoring the medium’s side, the TV producers and other media people found it necessary to call in a paid “skeptic” or debunker to “balance” the issue. In effect, the TV producers saw Schwartz as having joined sides with the medium, as if he had become the medium’s advocate, and therefore insisted that “balance” be restored with a paid debunker, who, in all likelihood, had done no research of his own but based his arguments on debunking theory, such as cold reading, chance guesses, etc. The contestants in the debate then became the medium and Schwartz on one side versus the debunker on the other side, when it should have been the medium vs. the debunker with Schwartz as the judge. Instead of the viewing audience appreciating the strong evidence supporting mediumship, the desired result was a draw or a standoff. And so it seems that this was also the desired result of this academic anthology. With this need for balance by the media, as well as by academia, is it any wonder that no significant progress has been made in convincing the general public of the reality of mediumship and other phenomena lending themselves to the truth of life after death? Consider the subject of ectoplasm. In my essay on the subject, I summarized the research of Professor Charles Richet, a Nobel Prize winner in medicine, Dr. Gustave Geley, a respected physician and scientist, Dr. (Baron) Albert von Schrenck-Notzing, a German neurologist, Dr. William Crawford, an Irish engineer and educator, Dr. Bernard Laubscher, a South African psychiatrist, among others. All of these researchers clearly began as skeptics or with objectivity, intent on confirming allegations of fraud or ruling it out. In fact, both Richet and Schrenck-Notzing, though completely satisfied with the reality of ectoplasm, remained skeptics when it came to the spiritisic explanation. Schrenck-Notzing had 180 sittings with one medium. He went so far as to require rectal examinations to rule out anything being smuggled into the séance room. “[The phenomena] are undoubtedly genuine, and only a malicious prejudice could doubt the reality of the occurrences,” he wrote. Like Sir William Crookes before him, Crawford referred to ectoplasm as “psychic force” and later as simply “plasma.” As he came to understand it, this “plasma” was taken from the medium’s body and reabsorbed by her at the end of the séance. During his experiments, he began communicating with “operators,” his term for the “intelligences,” “invisibles,” or “spirits” on the other side. One of the operators said that he was a medical man when on earth and that his primary function was to look after the health of the young medium. He told Crawford that two types of substances were used in the production of the phenomenon. One was taken in large quantities from both the medium and the sitters, then returned to them at the close of the séance. The other substance was taken exclusively from the medium in minute quantities and could not be returned to her as its structure was broken up. It was pointed out that it came from the interior of the medium’s nerve cells and if too much were taken she could suffer serious injury. While initially subscribing to the subconscious theory of Richet and Schrenck-Notzing, Crawford gradually changed his mind and concluded that the ectoplasm and subsequent materializations were the work of spirits of the dead. Sitting with the famous physical medium Alec Harris of Wales during 1965, Laubscher, reported that he witnessed a number of full materializations. Nine people, including one other physician, an engineer, and some businessmen, and their wives, sat in a half-moon circle in a room with only one door, which was locked. Harris sat in a corner in a curtained-off “cabinet” in which there was nothing but a chair. The séance was held under red lights. “After a while the curtains opened and we could see the medium in his chair apparently in a deep trance and unconscious of all around,” Laubscher described the event. Dressed in flowing garments and a veil, all of ectoplasm, the figure moved and spoke in a female voice. “She moved among us and appeared quite solid and was recognized and greeted as the deceased mother of Mr. Harris, the medium,” Laubscher continued his report. He recognized that the skeptic would believe that Alec Harris was impersonating his mother or that a confederate had been smuggled into the room, but said that neither was a possibility, mentioning that he could see the medium in the chair and that the red light permitted him to see all others and any movement in the room while the door remained locked at all times. I cited the work of other respected scientists and scholars in my essay, all equally certain of the reality of ectoplasm. “Balance” would have meant finding a dozen or more researchers who wrote it all off as fraud. I know of no such researchers or references. I know of many scientific fundamentalists who had one sitting with a medium and refused to believe that it was anything but fraud and I know that there were a number of actual frauds, using cheese cloth or some other substance to simulate ectoplasm. But why bother with the one-time sitters or the actual frauds when such respected scientists as those mentioned, had scores, even hundreds, of sittings with genuine mediums and were able to attest to the reality of it? I wonder if all the research suggesting a positive correlation between lung cancer and smoking can be balanced by citing many research projects indicating no positive correlation, or even a negative correlation. Or should all that research pointing to a positive correlation be discounted because every now and then we hear of someone 90 or older who claims to have been a life-long smoker? Again, it must be stressed that Richet, Geley, Crawford, Laubscher, and all the others were dealing with the fraud aspect in their methodology. The “balance” is already built in. Why must we continually reinvent the wheel over and over and over again? How can the general public ever come to accept the research supporting the survival hypothesis and other psychic phenomena if the media and academia insist on balance? We need truth not balance. Anyone who has read Trevor Hamilton’s in-depth 2009 biography of Frederic W. H. Myers, one of the distinguished pioneers of psychical research (Immortal Longings), knows that he has objectively and thoughtfully explored the whole area of psychic phenomena. He knows the evidence in support of the reality of various phenomena and the skeptical arguments in opposition to that evidence. In his latest book, Tell My Mother I’m Not Dead: A Case Study in Mediumship Research, Hamilton, who lives in the South West of England and is a member of the Society for Psychical Research, tells of his personal search for truth in the most important of all subjects, whether we live on after death. It involves the death of his 27-year-old son, Ralph, in an automobile accident on July 7, 2002. Over the next eight years, Hamilton had ten sittings with nine mediums in the hope of hearing from his son, as well carrying out a research project. The first half of the book provides details on the 10 sittings with mediums, while in the second half, Hamilton reflects on mediumship research in general and its application to his own research. With degrees from Oxford, London, and Sussex Universities, Hamilton (below) spent 40 years in management, education and training, retiring from his post in higher education at the end of 2006 in order to write full time. I recently put some questions to him by e-mail. When and how did you first become interested in this whole subject of mediumship research? What motivated you to write the book about Myers? “I did not want to investigate mediumship in depth without getting my bearings in the field: that is some sense of how people had gone about it in the past and what their conclusions were as to the processes involved and the issues they raised. And, of course, I quickly found that Myers and his intimate friends Gurney and Sidgwick (and his wife, Eleanor) were the first to really tackle the subject in a systematic fashion. I became fascinated by Myers for three main reasons: firstly, because of the controversies surrounding him and the wildly differing views as to his character, motivation and achievements; secondly, the fertile richness of his mind. He has been called the Coleridge of psychical research. His masterpiece, Human Personality and Its Survival of Bodily Death, is still full of imaginative and penetrating insights that have not been operationalized and followed up in a scientific environment. The Myers book must have taken many hours of dedicated research and writing. What was the most difficult part of that project? After completing your research, was your opinion of Myers greater or lesser than when you began? The mediums you visited in your attempts to hear from your son seem to be quite different from most of the mediums that Myers investigated. Why do you think that is? Overall, were you satisfied with your attempts to communicate with your son? “Anne and I were very impressed by the first sitting two months after Ralph’s death. There was no fishing and the medium, with very little hesitation, poured out a string of accurate information. Sadly, it was the only sitting that was not recorded and we may well have missed useful evidential material. He no longer gave private sittings and we were too new to it all to appreciate the importance of taping/videoing (if possible) all sessions. Would you recommend that people who have lost loved ones sit with mediums, as you did? Why is so much indifference in the world to this whole subject of life after death, including communication with spirits? Tell My Mother I’m Not Dead: A Case Study in Mediumship Research by Trevor Hamilton is Available from Amazon. Immortal Longings: FWH Myers and the Victorian Search for Life after Death by Trevor Hamilton is Available from Amazon.